Need A Custom Exhaust System? 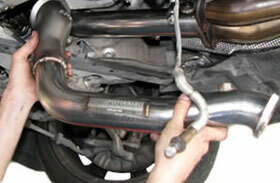 We’ll create an exhaust system that fits your vehicle and sound preference. We stock 2-4 inch pipe sizes and most major aftermarket muffler manufacturers. We can also finish off your vehicles look with a set of custom exhaust tips of your choice. 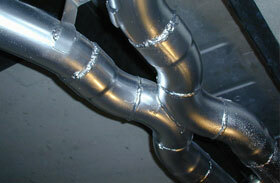 For added performance, we can even build an x-pipe or h-pipe into your exhaust system. Purchase an aftermarket cat-back exhaust system online? We can install your system for leak-free performance for years. 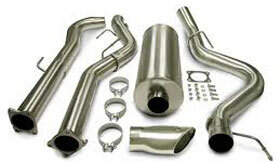 We also specialize in diesel cat-back exhaust systems from high end manufacturers like Flowpro and Magnaflow. Did Your Car Fail Emissions / Smog? Not passing emissions testing? There are several parts of your car or truck exhaust system that could be to blame: catalytic converters, oxygen sensors, mufflers and the piping in between. We’ll repair the problem with your vehicle and get you back on the road, typically in the same day! 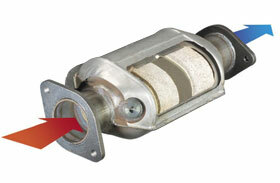 Catalytic converters are filtration elements that remove impurities from your vehicles exhaust. When catalytic converters go bad or become clogged, it effects your vehicles performance, fuel mileage and smog emissions levels. We carry a wide variety of OBD1 and OBD2 catalytic converters to accommodate most makes and models of vehicles, both import and domestic. Oxygen sensors read your vehicles exhaust and tell your cars computer to adjust based on what they see. We can replace bad O2 sensors as well as repair or weld in new oxygen sensor bungs should your vehicle need them. Muffler replacement is what we’re known for. If your muffler has holes in it or you think you may have an exhaust leak we’re here to help. We’ll replace your old, rusted-out muffler with either a stock replacement or a performance muffler if you’re looking for a deeper, more aggressive tone. 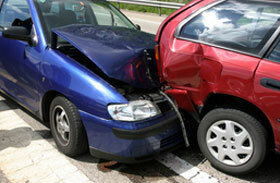 Collision centers and body shops: you may not need to replace your client's exhaust system. In most circumstances, we can repair the collision damage that the exhaust system sustained without replacing the vehicles entire exhaust system, saving you hundreds if not thousands of dollars! In addition to catalytic converter, oxygen sensor, and muffler replacement, we confidently repair damaged exhaust hangers, exhaust seals, rusty or bent sections of exhaust pipe. I’ve been bringing my cars here for years, Brent & Andy have always taken care of anything I need. They have done custom welding for my older project cars and have worked on my newer cars as well. I used to be able to just drop on in and have my work done with less then an hour wait....well the word is out now so I’d suggest making an appointment or call ahead to make sure they have a slot open.